A high quality, ready to use, alcohol based solution for the rapid disinfection of surfaces of medical devices. With an action time of just 30 seconds, Unisepta Plus is ideal for use between patients. 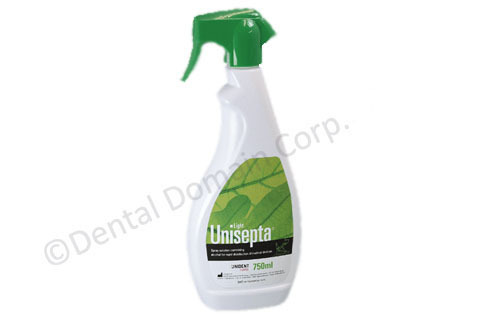 100g of Unisepta Plus contains, Ethanol (55g), didecylmethyl oxyethylammonium propionate (0.11g), fragrance.